Portland State University joined Majestic Realty and Commerce Construction for the Tualatin tilt-up. 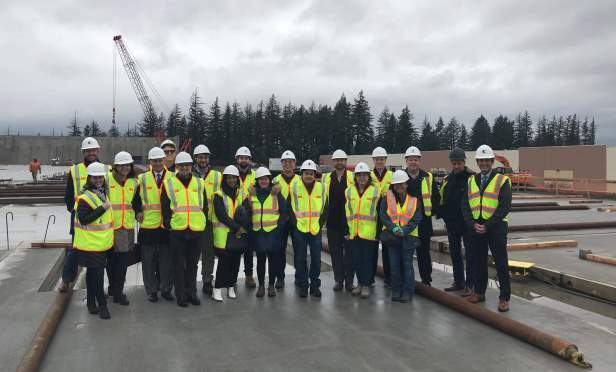 PORTLAND, OR—With a flurry of activity in the form of industrial and retail development projects last year, privately held industrial developer Majestic Realty Co. continues to expand its footprint in the Portland region. These include speculative developments, build-to-suit opportunities, lease ups and new land acquisitions.